Middle school friendships can be a source of great joy one day, then pain and anxiety the next. Friends and Frenemies examines the complexities of friendship and helps readers start building communication tools that will last a lifetime. The book tackles big questions such as: "How can I make friends?" and "What if I feel like I need to end a friendship?" 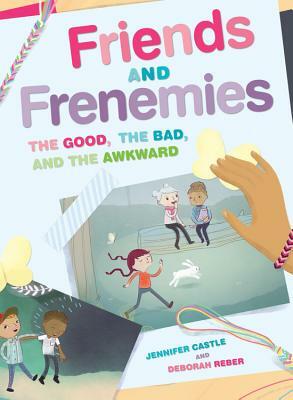 Friends and Frenemies includes not just advice, but also comments from real kids, advice from older teens who have been there and done that, quizzes, polls, and other interactive elements that encourage readers to engage with the book, adding their own thoughts and experiences.